Ethan Boy · It’s Party Time! For Ethan’s 3rd birthday, we decided to have a small do at his daycare on Friday, the day before his birthday.Â After all, all his friends are there and we figured he would have so much more fun that way. I prepared party favor packs for each of the kids at the daycare, and we chose the (what else?) Mickey Mouse theme. Inside the party bag, there was a toy spring (Ethan goes “BoinggggkKKK!” when he plays with it), a mini spinning top, a kaleidoscope, an activity sheet and a big sticker for the kids. I also baked Ethan’s favorite “featherberry muffins” for the party, and we ordered two pizzas too! Of course we also had some balloons!Â Ethan had been asking for “banoons” since early January, and I told him he would get some for his birthday.Â And these did not disappoint…. Driving with a dozen helium-filled balloons and a gigantic Mickey Mouse balloon in the back seat of the car was a scary experience, but it was worth the while. And oh, we certainly didn’t forget the cake!Â Here in the US, (surprisingly) it is so hard to find a bakery which does character cakes on the cake itself that was edible.Â But we managed to get an adorable Mickey and Minnie cake for Ethan from Safeway.Â Although the figurines aren’t edible, we were sure that Ethan would love it, simply because of Mickey and Minnie! All the kids were excited when they saw the cake, and in order to prevent the cake from being *destroyed*,Â we decided to do the cake-cutting first.Â When we lit the No. 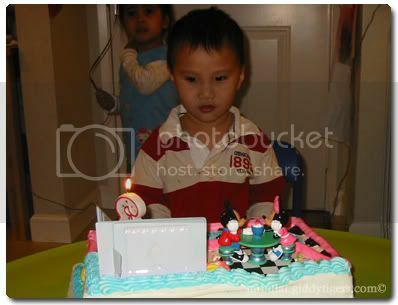 3 candle on the cake, Ethan looked stunned, perhaps a little awestruck? 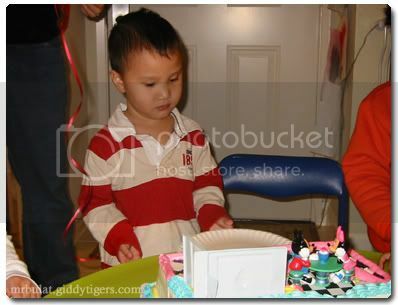 He looked all of seriousness, and it was as if he was deep in thought.Â He still looked so serious when we sang the Happy Birthday song to him, and didn’t even smile when we asked him to…. 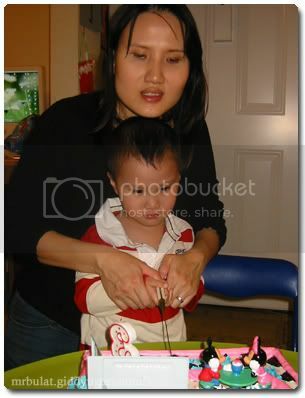 Still serious when we blowed the candle out…. And then…he decided to do something! We all had a fun time at Ethan’s party (pizza was good! 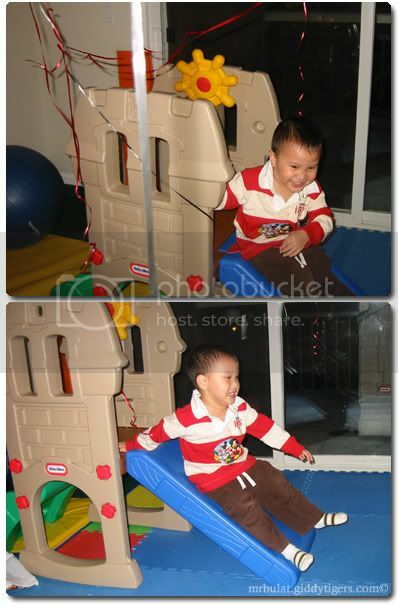 ), and I am sure Ethan was thoroughly enjoying himself too! 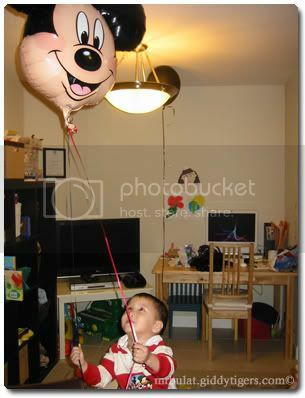 I know for a fact that he was absolutely delighted with the balloons! 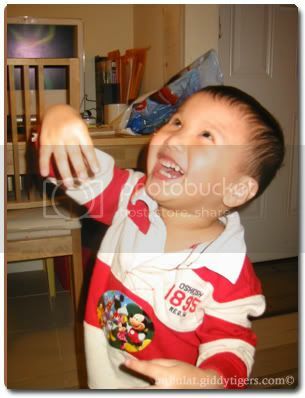 Pingback from Ethan Boy · Our boy is a chocolate lover! The muffins definitely ‘activated’ my saliva glands and the birthday cake is Fantabulastic!!! Joyce says: Thanks! Ethan enjoyed both the muffins AND the cake! Joyce says: Very serious indeed….and thanks for the birthday wishes! Happy 3rd Birthday Ethan. So fast , 3 years old already. Sorry this year can’t attend your birthday. 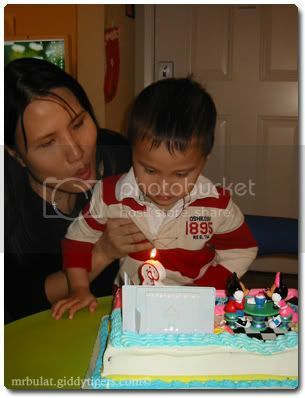 Joyce says: Yeah, in the blink of an eye, he is three already. Thanks for the birthday wishes! Oh boy… so fast 3 years old?? Joyce says: Isn’t it amazing how time flies without us realizing it? 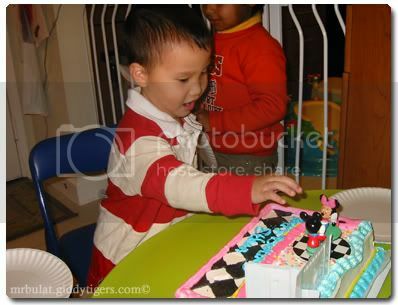 Happy birthday Ethan………..too bad this year kor kor kenot attend ur party….next year ya? 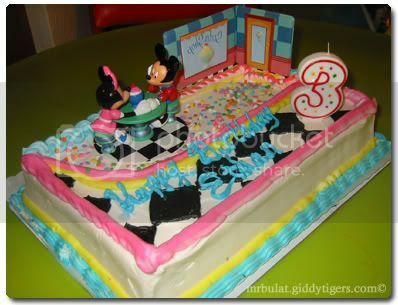 No edible character toppers cakes???? So unbelievable! Anyway, Happy Birthday to Ethan! Joyce says: There were some, but the choices were VERY limited. Thanks for the birthday wishes! 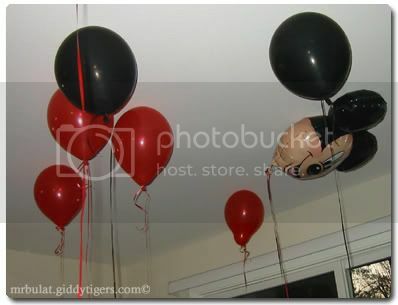 Joyce says: LOL - that would have to take MORE than a dozen balloons! Happy Happy Happy 3rd Birthday Ethan!! What a lovely party! Joyce says: Thanks Paik Ling! Happy 3 Years Old Birthday Ethan Boy! Happy 3rd Birthday to the special little guy, Ethan. A very very Happy Belated 3rd Birthday to Ethan! He sure had a blasting b’day party. 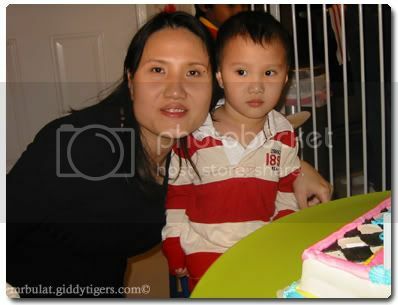 Nice party, Joyce And nice cupcakes too! Joyce says: Thanks! 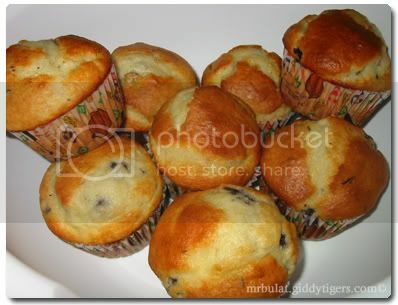 Actually they are blueberry muffins!